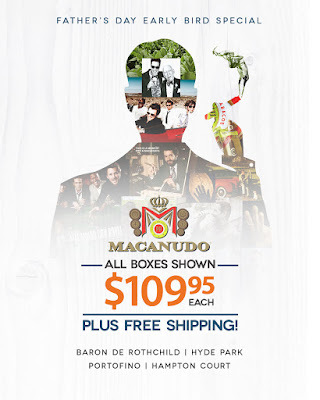 Corona Cigar Company Blog: Macanudo Box Deals: $109.95 + Free Shipping! It's the Macanudo Box Deal that you can't miss out on! We've dropped prices on 4 premium boxes to only $109.95 + Free Delivery! With savings of up to 46% off, you won't find a better deal anywhere else. Choose from the 4 boxes listed below and save huge!